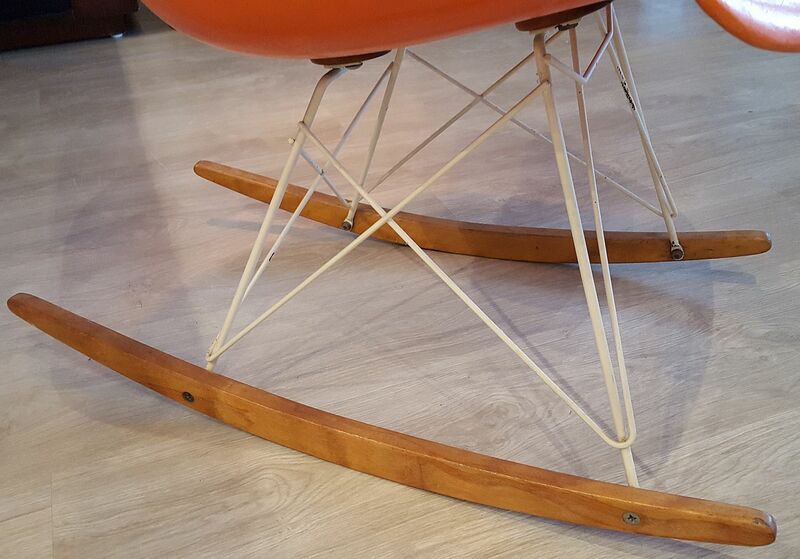 For your consideration is a rare, vintage RAR rope edge rocking chair in gorgeous salmon orange. 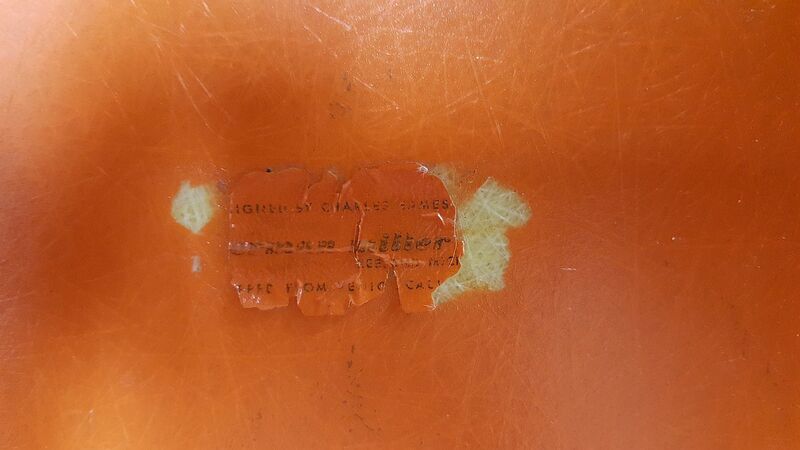 Partial label still intact that reads "[Des]igned by Charles Eames, Herman Miller, Zeeland, Michigan, [shi]pped from Venice, Cali[fornia]. 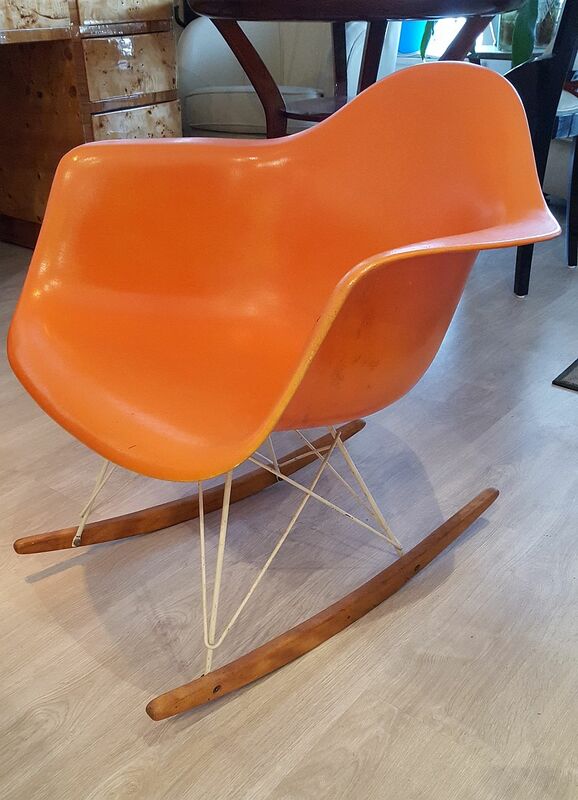 This is an original vintage Eames rocking chair produced by Herman Miller from the first generation of Eames chairs. 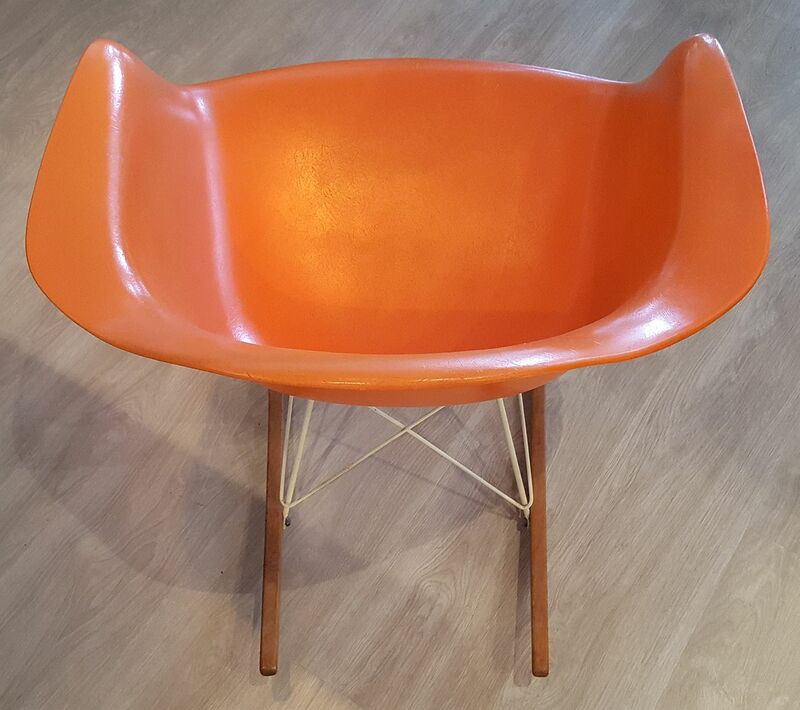 This is a great example of an early 1950's Eames Herman Miller production piece that was acquired by Deco-Dence Gallery & Studio 24 years ago from the estate of the original owners who had lived in Michigan prior to moving to Ft. Worth to retire. It has been held in our private collection, on display only, all this time and is being made available to the public for the first time. 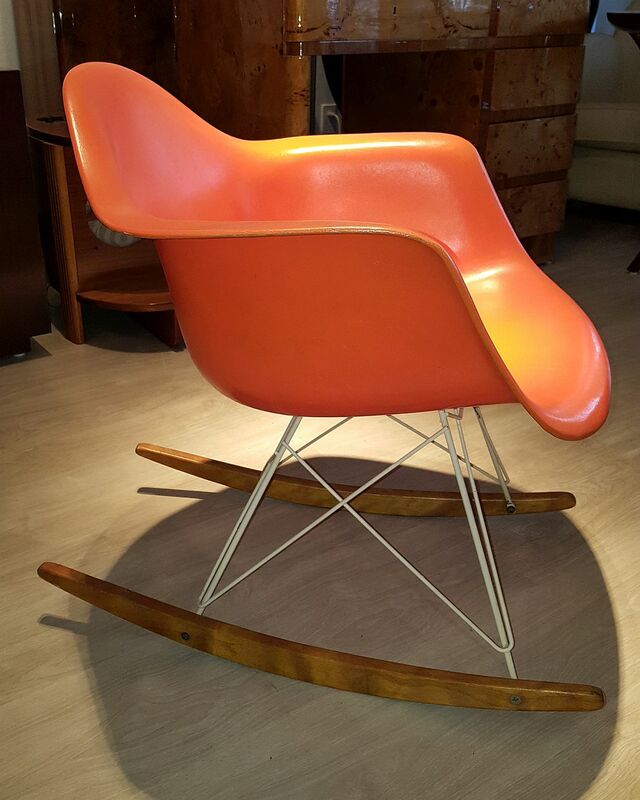 This is one of the most valuable and coveted vintage Eames chairs around. 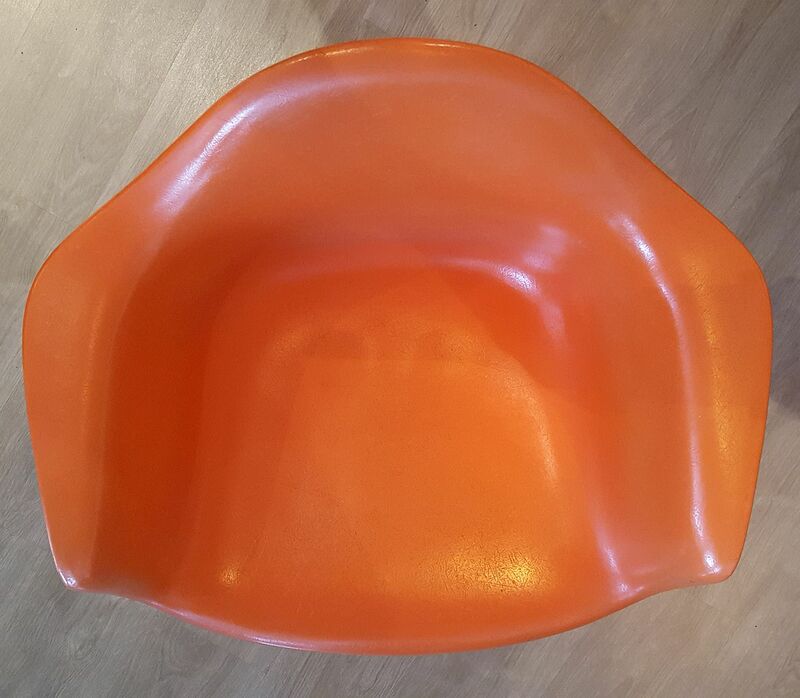 Original RAR rope edge chairs are becoming increasingly rare, so don't miss this opportunity. 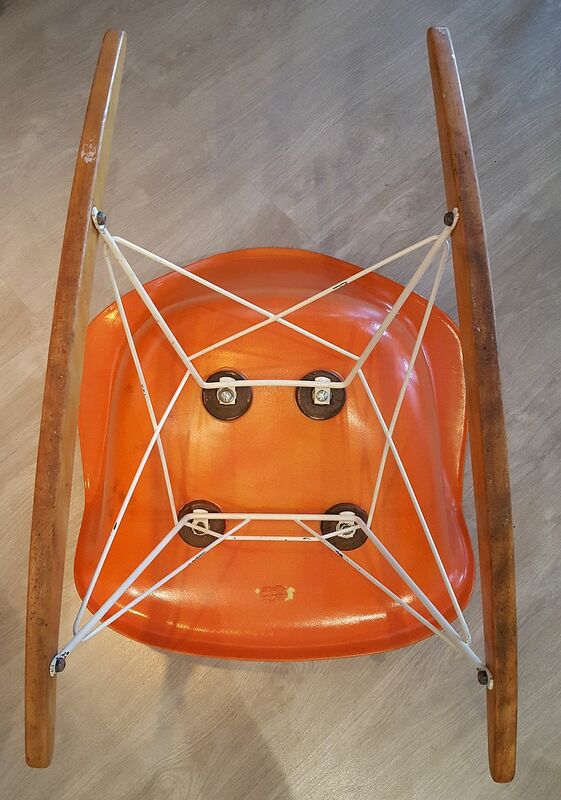 Highly collectible because it's a rope edge chair on a vintage rocking base with no breaks, splits, etc. Exhibits minor age-appropriate wear, surface scratches, minor chips on the painted metal legs ... generally age appropriate wear consistent with caring use from original owners. 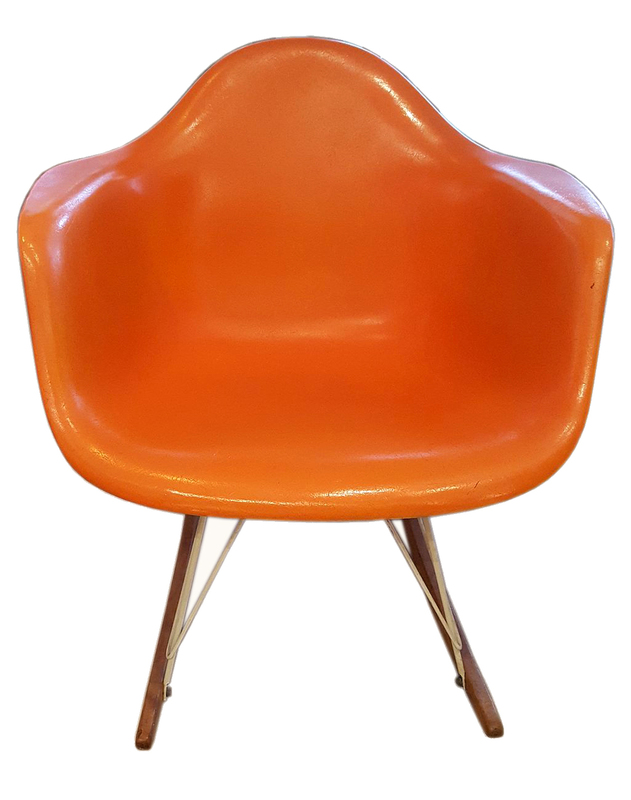 This is the ideal chair for the vintage Mid-Century enthusiast who wants their rocking chairs to be vintage shells and birch runners. Vintage Eames rocking bases are increasingly rare, so don't miss your opportunity to own a true collectible piece of Mid-Century Modern furniture that will only appreciate further in value in years to come.